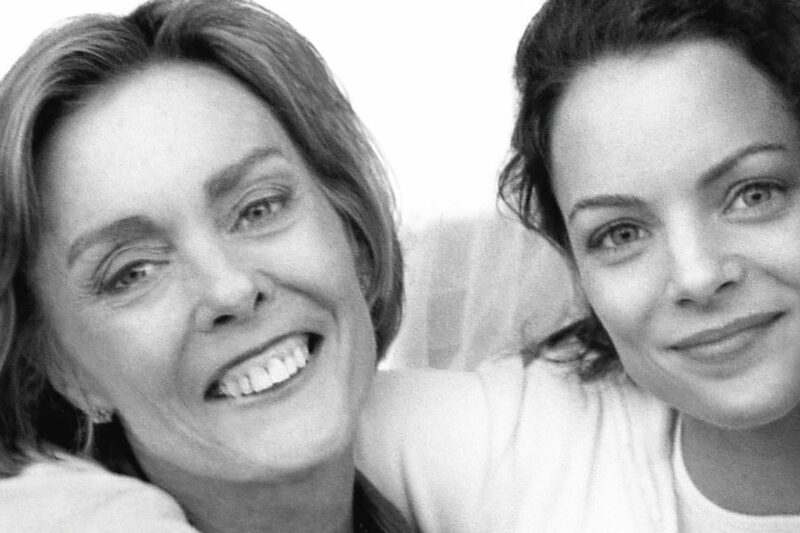 The Hollywood actress and author speaks candidly about her mother's dementia and finding the light within. Many know actress and author Kimberly Williams-Paisley as Annie Banks, the bride in the popular Steve Martin remakes of the Father of the Bride movies, the calculating Peggy Kenter on Nashville, or the wife of country music artist, Brad Paisley. But behind the scenes, Kim was dealing with a tragic secret: her mother, Linda, was suffering from a rare form of dementia that slowly crippled her ability to talk, write and eventually recognize people in her own family. Where the Light Gets In: Losing My Mother Only to Find Her Again tells the full story of Linda’s illness—called primary progressive aphasia—from her early-onset diagnosis at the age of 62 through the present day. Kim draws a candid picture of the ways her family reacted for better and worse, and how she, her father and two siblings educated themselves, tried to let go of shame and secrecy, made mistakes, and found unexpected humor and grace in the midst of suffering. 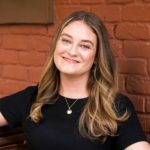 Read It Forward’s editor Abbe Wright talked with Kim about how sharing her story was a crucial step in her healing process, how readers can help shake the stigmas associated with dementia and how, even when life seems darkest, you can find the light within. Read It Forward: Kim, your memoir Where The Light Gets In is an incredibly moving and compassionate read and it’s beautifully written. I felt I got such a sense of you and your family while reading the narrative. Did you write it all yourself? 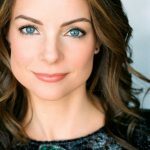 Kimberly Williams-Paisley: Thank you so much. I really loved working on this book. It was a labor of love for me and also very therapeutic. This is such a personal story that I really wanted to delve into it myself. My dad helped me edit; I’d write a chapter and send it to him and ask him what he thought. He is very honest with me in the best way and has such a sharp eye. RIF: Tell me about the path to writing this book. I know the seed was planted by an article you wrote for Redbook magazine in 2014, titled “How I Faced My Mother’s Dementia,” but why did you feel it was important to share the larger story with the world? KWP: The response I received from the article was incredible—I got more people responding to what I had written than to any acting project I’d done in the past decade! The overwhelming reaction showed me the need for a deeper and more detailed story about my own experience, as well as more dialogue about dementia. There’s only so much you can do in the space of a short magazine article. I also felt a sense of healing from sharing the story in Redbook and I knew I wanted to explore that in a deeper way. And secondly, I wanted to try to help those who are facing what my family was facing ten years ago—a sort of road map. In fact, this is the book that I wished we had ten years ago. It was really important to my siblings and my father and me that we include resources at the end for those who are experiencing what we went through and need some more tools. There is a stigma that still surrounds dementia. In our family, we felt embarrassed and my mother, especially, felt very embarrassed and didn’t want to talk about it. So I wanted to help break up that stigma. RIF: Yes, you share in the book that your family initially felt a lot of shame and kept your mother’s diagnosis a secret, out of respect for her and her wishes. Why do you think she felt that shame and why are there so many stigmas wrapped up in the issue of dementia? KWP: I think the nature of the disease makes it really difficult for people who suffer from it to speak out because their behavior is changing. For instance, my mother had trouble speaking, so it’s hard to find a spokesperson that can be the face of dementia and represent it well. That is part of it. And then there’s the irrationality and paranoia that often comes along with the disease. I think my mom was embarrassed and didn’t want people to think she wasn’t smart. She didn’t want pity. Part of it felt like it was her fault, you know, if only she could try harder, then she could overcome it. But she was failing at that. She didn’t want people to see her stumbling. RIF: In the book, you write so honestly and candidly about the way your family reacted. You, your brother and sister and your father were reacting to your mother’s decline in different ways, both good and bad. You include the mistakes that you made along the way and the things that you wish you had done differently. Why was that transparency so important? I bet it wasn’t always easy. KWP: No, it wasn’t. And I am ashamed of some of it. I am ashamed we let my mom drive for as long as she did. But the only way through those mistakes is to own up to them, to look for the lessons and then try to help prevent other people from making the same mistakes. There were a lot of resources that my family didn’t use that we could have. Part of that was denial—we didn’t think we needed them—and part of that was a lack of knowledge. We didn’t reach out to the Alzheimer’s Association until after my mom went into a long-term care facility, and they have all these useful recommendations for how to get the keys away when someone can no longer drive, or how to get the proper support for the primary caregiver, or places to turn for local resources and support groups. We learned that the Alzheimer’s Association isn’t just for patients and families battling Alzheimer’s, they are a resource for families facing any kind of dementia. We initially thought, well, she doesn’t have Alzheimer’s, so that doesn’t apply to us. But it does. RIF: How was the writing process therapeutic and cathartic? Did it bring bouts of tears as you remembered these painful scenes with your mother or did it help settle things a little bit more for you? KWP: Yes, absolutely, all of the above. I talk in the book about learning how to become comfortable with what is uncomfortable. And writing the book was that. It was that every single day. Each time I was faced with writing a new chapter, it was like okay, here is another mountain and this feels really uncomfortable and unclear and gray. Then I would get to the top of the mountain and suddenly there would be a resolution. I also think writing my story has inspired me to be an advocate. Every time I have a tough visit with my mom or have a rough day or it’s hard for me to accept what is happening or I feel sad, I just throw myself back into this project. I reach out to fans that have written to me or do an interview like this or think about five things I can do that are proactive, like raising money or spreading the message. That feels therapeutic to me. RIF: One thing that really struck me in your narrative is how you described watching your father—as well as you and your siblings—take on the role of caretaker for your mother. If you’ve never done it, it can be hard to know what exactly it encompasses and how much of a full time job it really can be. KWP: I think a lot of people are facing that challenge with aging parents in any capacity. It doesn’t have to be dementia. It is sort of part of the life cycle: How do you start to parent your own parents? And, at least in my case, it was: How do I parent my own parent while I’m also parenting my own kids? RIF: Has your mother’s dementia and decline changed the way that you mother at all? KWP: That is such a good question. I think I’m a little more relaxed about the way I mother. 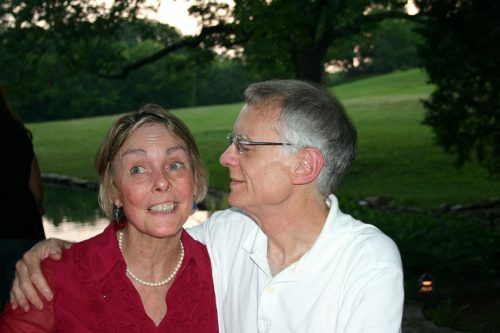 I speculate all the time about what it would be like if my mother hadn’t gotten her disease; she definitely would have been more involved in my sons’ lives, but I would have cared a lot more about what she was thinking about my choices as a mother. I have to admit, not having my mother watch me parent is a little bit of a relief; there’s a certain freedom that I can parent my boys however I want to. On the other hand, her voice is this positive voice I hear in my head as I parent. It’s encouraging and says go for it, go seek adventures. So I take my kids on adventures! Every year, I take each of my boys on a one-on-one mother and son trip. My mother loved to travel and she loved to read books to her children, so I do all of those things that my mom did. She influences the choices that I make every single day. RIF: Are there things that an ordinary person can do to progress dementia research and awareness or to help erase the stigmas associated with it? KWP: Yes! I love seeing NFL players wearing pink socks or cowboys at the rodeo wearing pink button-down shirts in support of breast cancer research. I think it’s fantastic. And I love the way Michael J. Fox has become a spokesperson and a face of Parkinson’s. I would love to see people wearing purple for Alzheimer’s and dementia awareness. I encourage people to donate money to organizations like the Alzheimer’s Association and others and, above all, to not be afraid to talk about it. It’s kind of uncomfortable, but look at what Seth Rogan and Lauren Rogan have done with their Hilarity for Charity organization, which raises money to provide in-home care for Alzheimer’s patients. They use comedy to get their message across and they are funny and irreverent. We need more of that! We need to shake it up and start talking about it because it is important and relevant. A recent study shows that women in their 60s are about twice as likely to develop Alzheimer’s as they are to develop breast cancer. It’s also one of the most expensive diseases to have—more expensive than heart disease and cancer in the last five years of life. President Obama recently passed a bill that allocated a $122 million increase for Alzheimer’s research, education, outreach and caregiver support, which is a big step in the right direction. More people, including politicians, are talking about dementia and that is a really good sign, but I want to keep the trend going. RIF: Tell me a little bit about the title of the book, which was inspired in part by lyrics in the Leonard Cohen song “Anthem.” I feel like “where the light gets in” really captures the sort of grace you bring to your writing. How does the phrase really encapsulate your experience your mother’s dementia? KWP: As I was writing, it was so important to me to tell that “light” part of it, to share the lessons that I have learned and the blessings that I have found in this tragedy because that idea applies to anything in life. Any time you go through a challenge, there is an opportunity for growth or for compassion. Any time you face something really challenging, there’s a chance to find humor, to find joy, to find a surprising positive side to it. I really wanted to capture that in this story. I didn’t want it to be a downer the whole time, because it isn’t for me. There are a lot of positives that have come out of this entire experience, even the unexpected things during the course of the journey, like my mother being delightful at times and being really uninhibited and passionate and joyful with my kids. These took me by surprise! I wasn’t expecting that, so I wanted readers to know it is not all bad. Even the worst circumstances in life are not all bad. You can always find some glimmer of light in it. KIMBERLY WILLIAMS-PAISLEY is an actress, producer, and director best known as the star of the Steve Martin remakes of the Father of the Bride movies, as well as for her work on television series including Nashville, According to Jim, and Relativity. She is married to country music star Brad Paisley and mother to two young boys.